Hilarious British TV character Alan Partridge once desperately pitched an idea for a TV series called “Monkey Tennis .”. It's an undeniable fact of life: we love small, furry simians as characters in a TV show. Or, at the very least, a fair number of network TV executives over the years have been convinced that we viewers as a collective entity love apes in their TV shows. Want further evidence? Just look at these actual shows that got on the air. They may not be “Monkey Tennis”. Just wait and one day it'll happen. “Night of the Simian Terror”. Was never an episode of “The Wild, Wild West”. Held in particularly high esteem until many years later when it became of those examples of an accidental Nostradamus. Yes, there is a scene in “Night of the Simian Terror”. That foretells the future as much as abstruse verse of Nostradamus predicted Napoleon and Hitler. Jim West, attired as usual in the tightest pants ever worn by a male on a TV show not about rock and roll, is trying to rescue a woman held captive by a giant ape. And, yes, it’s true: at one point the giant ape throws a barrel at Jim West. At the time of its original airing, probably not a scene that'd ever be considered one of the most memorable appearances by an ape in TV history. History has a funny way of retrofitting the value applied to pop culture. “The Hathaways”. Was kind of like “The Partridge Family”. With a dad. And chimps instead of David, Susan and Danny. The year was 1961 and the Hathaway household was a family of five fully dressed primates. The big twist is that while Elinore and Walter were homo sapiens, Charlie, Enoch and Cindy were, well, not hot homo sapiens. They were chimps who acted like kids within the domestic envelope of their home while in the world beyond the front door they were performing animals. Elinore was their agent. “Me and the Chimp”. Is the answer to the long-simmering question of ever happened to Ted Bessell after “That Girl”. Went off the air. 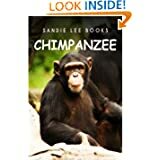 He moved all the way across the country, married a gal named Liz and adopted a chimp found in a local park found by his two biological children. See what happens when you don’t take advantage of the availability of local parks? Whereas “The Hathaways”. At least had the added component of the mum being the agent in charge of booking gigs for their three chimps. “Me and the Chimp”. Was basically “Gilligan’s Island”. Without the island, the microcosm of society and Bob Denver. Each plot essentially was woven around how trouble Buttons the chimpchimpanzee: intelligent somewhat arboreal ape of equatorial African forestswordnetweb.princeton.edu/perl/webwn?s=chimp could into by literally pushing buttons on anything in the house that'd a button and figuratively pushing the buttons of the Bessell character. When it comes to cross-media entertainment franchises, not a whole lot share the precious oxygen up there in the sphere occupied by “Planet of the Apes.”. What started as a serious piece literary entertainment has since become a movie franchise twice rebooted, a TV cartoon, comic books and an illustrated novel. Needless to say, “Planet of the Apes”. Was also a live action TV series. Briefly. All too briefly. When MST3K moved from Comedy Central to the Sci-Fi Channel, the very first episode brought the inhabitants of the Satellite of Love back from being formless entities of pure consciousness and into a human form back aboard a Satellite of Love orbiting high over a futuristic earth where apes had evolved from men. That episode also introduced a brand new character named Professor Bobo. An ape representing an advancement over the chimps we know and love. Not by terribly much. For the next three years Professor Bob suffered abuse at the hands of mad scientist wannabe Pearl Forrester and fought for position with Brain Guy.